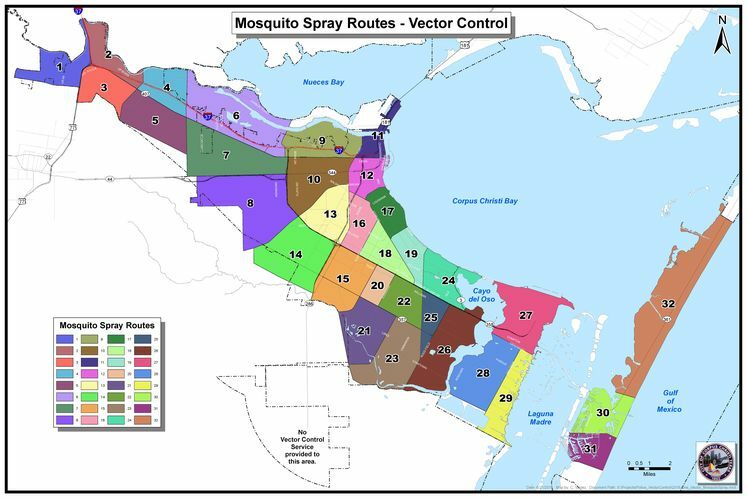 CORPUS CHRISTI, TX - The City's Vector Control unit is taking precautions to deal with the abundance of mosquitoes brought on by the recent heavy rains and are continuing to spray neighborhoods in an effort to bring us some relief. Tuesday, July 3 - Route 12 (including hand spraying around Cole Park) and Routes 1 & 2 (Calallen area). Workers have also treated standing water in ditches citywide with larvicide and are monitoring mosquito traps posted across the city.